Sherlock Holmes, the world’s “only unofficial consulting detective”, was first introduced to readers in A Study in Scarlet published by Sir Arthur Conan Doyle in 1887.It was with the publication of The Adventures of Sherlock Holmes, however, that themastersleuth grew tremendously in popularity, later to become one of the most beloved literary characters of all time. In this book series, the short stories comprising The Adventures of Sherlock Holmes have been amusinglyillustrated using only Lego® brand minifigures and bricks. 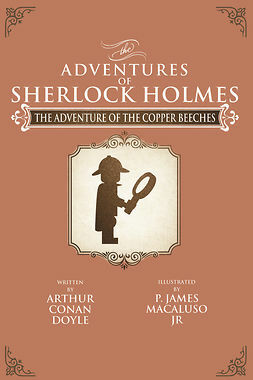 The illustrations recreate, through custom designed Lego models, the composition of the black and white drawings by Sidney Paget that accompanied the original publication of these adventures appearing in The Strand Magazine from July 1891 to June 1892.Paget’s iconic illustrations are largely responsible for the popular image of Sherlock Holmes, including his deerstalker cap and Inverness cape, details never mentioned in the writings of Conan Doyle. 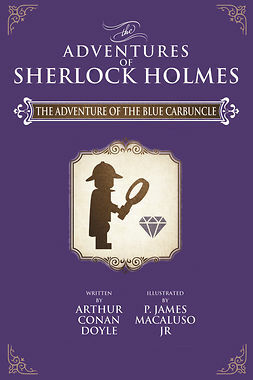 This uniquely illustrated collection, which features some of the most famous and enjoyable cases investigated by Sherlock Holmes and his devoted friend and biographer Dr. John H. Watson, including A Sandal in Bohemia andThe Red-Headed League, is sure to delight Lego enthusiasts, as well asfans of the Great Detective, both old and new. 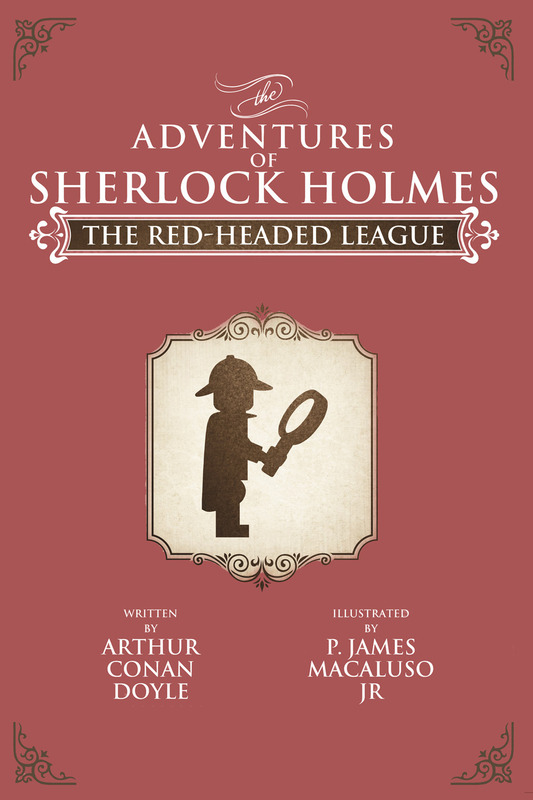 THE RED-HEADED LEAGUE: Sherlock Holmes and Dr. Watson are called on to investigate the bizarre proceedings of The Red-Headed League, a philanthropic society which promotes the interests of men with red hair by paying them handsomely to perform small tasks. Holmes soon realizes that The League is not as charitable as it appears but rather part of an ingenious criminal plot involving the fourth smartest man in London.